Imported from Africa and sterilized upon entry to prevent germination, this special seed is a great source of energy due to its high oil content. Niger Seed, often mistakenly called Thistle seed, is a favorite of beautiful wild finches like the American Goldfinch. 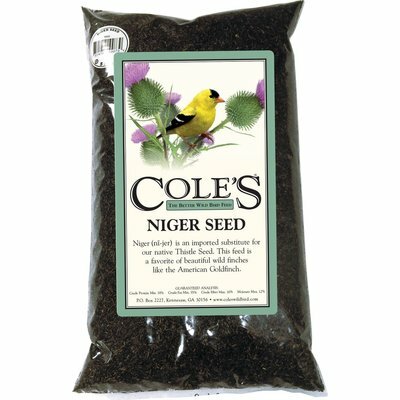 Imported from Africa and sterilized upon entry to prevent germination, this special seed is a great source of energy due to its high oil content. 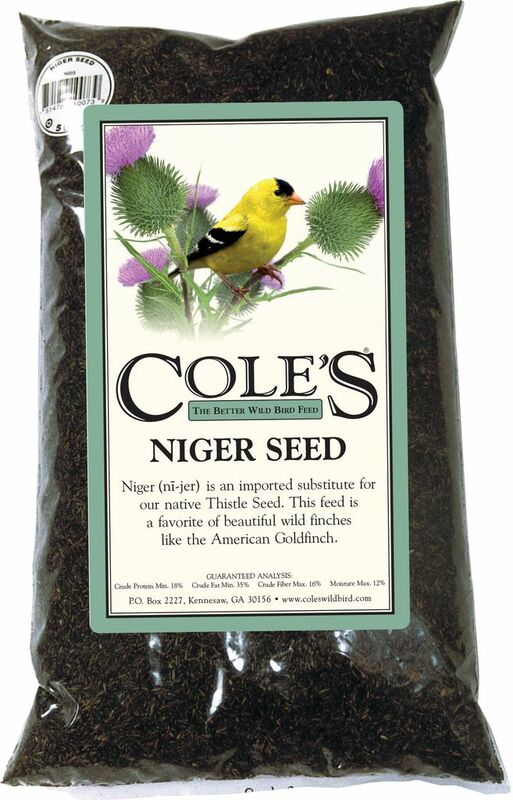 When served straight, it is best used in a specifically designed tubular feeder, like the Nifty Niger feeder, or "thistle sock" with small holes where it can be economically dispensed.